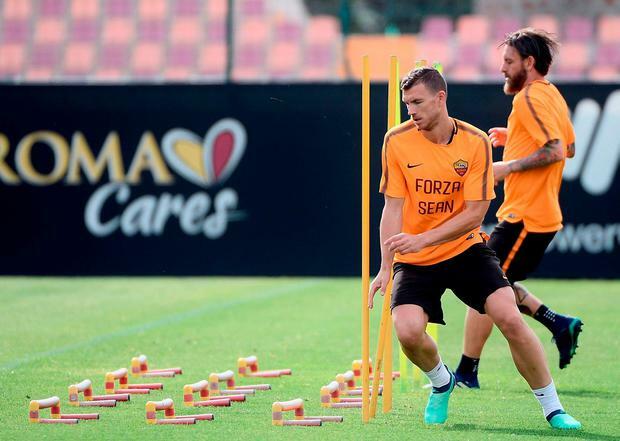 Roma’s players prepared for tonight’s Champions League semi-final, second leg against Liverpool by training in t-shirts with the message ‘Forza Sean’ in solidarity with the Meathman Sean Cox, who has spent seven days in a coma after being attacked by Roma fans outside Anfield. Liverpool boss Jurgen Klopp hailed the move. “Great, great, great gesture. I already thought they showed a great gesture before training at Anfield at the memorial for the 96,” said Klopp, referencing Roma’s laying a wreath in memory of the Hillsborough victims a week ago. Liverpool captain Jordan Henderson also sent a letter of support to Sean’s GAA club, St Peter’s Dunboyne. John Aldridge: I saw knives flashed and some lads got serious beatings but times have changed in England - so why not in Europe?